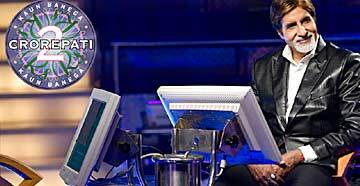 Actor Amitabh Bachchan shot the first promo for ‘Kaun Banega Crorepati 5’ on Wednesday at Kemps Corner, where previously he had shot a portion of his film Paa (2009) with Paresh Rawal and Abhishek. The dubbing for the audio-visual is already done and the promo will go on air between May 8 and 10. The promo will open up nationwide entries for the show, the first question will be aired on May 27, at 9 pm on Sony Entertainment television. It is also reported that the question may at the same time appear on Set Max in the middle of the IPL semi-finals. Rohit Bahl has styled Amitabh Bachchan for KBC. Watch for KBC 5.